It’s the circle of life!!!! And seriously, how many of you are now thinking about “The Lion King?” It’s literally been stuck in my head since we recorded this podcast. Anyway, I’m really excited about this episode because I’ve always been fascinated by our very complex hormonal systems and processes. FUN FACT: our bodies produce dozens of hormones that impact everything from our growth and metabolism to of course, reproduction. 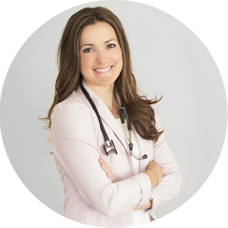 And this week on the podcast, we’re talking all about fertility in a very special interview with Dr. Danika Sicard of Orleans Naturopathic Medicine right here in Ottawa, Ontario. It’s no surprise that fertility is greatly influenced by age and genetics but equally (if not MORE) important is our bodies’ physiological environment. Unfortunately, with the hundreds of toxic chemicals we’re exposed to every single day, that means we HAVE to be proactive with our health and educate ourselves on hormonal wellness so that we can all make healthy babies if and when the time is right! 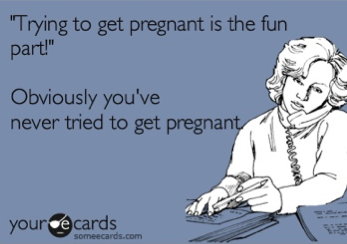 Obviously living the good life and adhering to a plant-based diet is a great place to start but on podcast, we’re exploring what the best (and worst) lifestyle habits are when it comes to hormone health and what foods, vitamins and herbal supplements we vegans should consume to strengthen our sperm, eggs and all-around baby-makin’ abilities. Click the “play button” below or HERE to listen in iTunes or HERE to listen in Google Play or HERE for Stitcher. Good interview – :) ha-ha – You customize these podcasts for your own questions Sam – lol. What’s with the African singing – Sounds like something from Lion King or something!